Rising from decades of slumber, Hobart faces some difficult decisions. It’s important we get them right. Tasmania’s capital city brings to mind a confused mess of contrasting adjectives – sublime, chaotic, trendy, traditional, inspiring, frustrating, spectacular, forward/backward/inward/outward-looking, disparate, incoherent. Jason Byrne’s thoughtful Mercury article last Friday raised a lot of the conflicting pressures coming to bear now that Hobart finds itself on the cusp of changes which look like being more dramatic and profound than at any time since the very early years of European settlement. It’s good to know such thinking is happening at the University of Tasmania, which has a big role to play in resolving the complex problems afflicting Hobart, Launceston and Tasmania’s other urban centres. Its planning graduates have a lot of work to do, if only there are jobs for them here. Byrne identified a range of desirable and not-so-desirable changes in prospect for the capital: new residents, fresh ideas, new skills and new cultural opportunities contrasting with negatives like traffic congestion, low employment in key sectors and unaffordable housing. Pain is an inevitable part of rapid urban change, and some of Hobart’s pains are awkward and stubborn, with a history of division and conflict. With good planning we can find ways around conflicts and lessen the pain, but it’s not going to be easy, nor cheap. As a first step, those who serve us in parliament need to pause and think before barging ahead with support for yet another new idea. Their thinking must be based on a well-considered, well-understood and publicly-accepted vision of where the city is headed and what it should look like. That vision must be a unified one, where individual issues are not treated separately from others. Everything of consequence in a city affects everything else: how we live, work, travel, shop and socialise; how we singly and collectively use energy and manage waste. 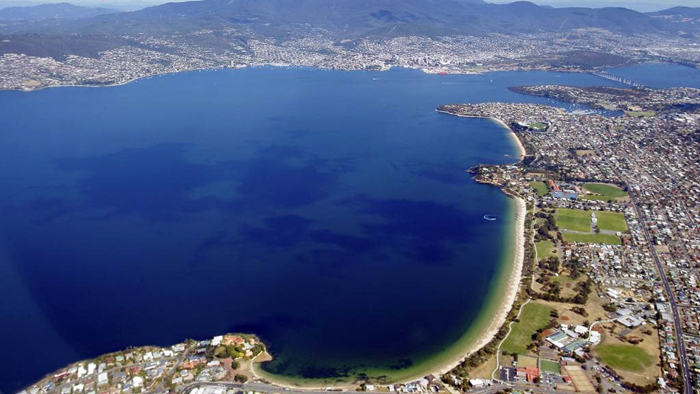 Hobart’s spectacular setting is a huge challenge for planners seeking to build a vibrant, coherent, secure community while retaining essential natural values. In our long, narrow city, wildfire, flood defence and transportation loom as big unresolved planning issues. I’ve reported before on how Hobart might secure its long boundary with the bush along both western and eastern shores. The solution has to include permanent fire-breaks defining city limits: open land grazed by bush animals and limited plantings of small, fire-resistant trees and shrubs. Fire is a crisis planning issue; another is flooding, from both rainfall deluges and inundation of low-lying land by king tides and storm surges. Increasingly energetic weather and rising sea level will exacerbate these threats, and planning must account for that accordingly. All levels of government must be aware of the legal consequences of failing to act on fire, flood and other climate threats, especially where property is involved, but we still allow development in vulnerable areas and tackle communal security in a piecemeal fashion, one issue at a time. Then there’s the no small matter of getting about. The state government has tossed the prospect of ferry services into the perennial debates over cars, bicycles, buses and light rail. All this highlights Hobart’s uniquely complex topography, impacting on transport at every turn. Walking, cycling and all forms of public transport have to be on the agenda in making a coherent whole out of the ribbons of settlement lining the Derwent’s eastern and western shores. Cities are about public amenity, and every reputable city has multiple alternatives to the private car. For all that, residents of Hobart will continue to take advantage of the comfort and convenience of private cars, as geographer Bob Cotgrove has so persistently argued over the years. They won’t be going away any time soon. Quieter, less polluting electric vehicles may make city traffic more bearable, but there will still be a lot of them. A fully functional city will require either strictly enforcing limits to private car use in the city, or building expensive diversionary routes, or something of both. All this presents huge challenges for Hobart’s future planners and administrations. But we shouldn’t be leaving it all up to them. Our towns and cities are the responsibility of all those who live in them and use their facilities. Private homes and vehicles, no matter now technically-advanced, don’t make us independent. We’re social animals; we depend on others and we need our community. Designing future cities, like tackling climate change – and the two are intimately connected – is a collective thing. We can’t expect to be able to sit back and wait for others to fix things. We all need to join the debate. And in doing so, we should bear in mind that like all cities, Hobart is first and foremost a place to live and not a showcase for visitors. The wider public good will have to come increasingly into play. Building adequate, durable defences against flood, fire and tempest demands that we give collective security priority over individual needs and privileges. Managing that shift is likely to be the toughest challenge of all. This entry was posted in Adaptation, built environment, business, investment, employment, changes to climate, governance, land use, leadership, local economy, local government, planning. Bookmark the permalink.